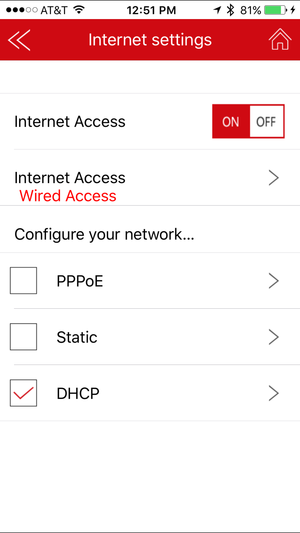 The free Emtec Connect app for iOS or Android provides easy, if not exactly intuitive, access to media and documents stored on the hard drive. Google is often accused of stealing Apple’s best ideas for Android, but Cupertino would be wise to reciprocate when it comes to directly accessing removable storage media on iOS devices. In the meantime, hardware manufacturers continue finding creative ways to infuse traditional storage products with mobile wireless capabilities. One such solution is Wi-Fi HDD P700, part of Emtec’s Connect series of wireless storage products. 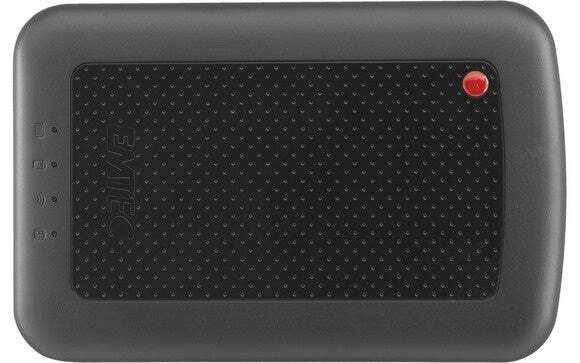 Available in 1TB or 2TB capacities, the black P700 looks like a normal portable hard drive, but at 84x129x25 mm and just over half a pound, it’s slightly bulkier and heavier. That’s because of the 3000mAh Lithium-ion battery and 802.11b/g/n antenna inside. 100Mbit RJ45 and USB 3.0 ports are also included for connecting the drive to an existing Ethernet router, Mac, or PC. The P700 battery charges over USB in about five hours, ready to power the unit for up to six continuous hours. Mobile devices can connect directly by selecting the P700 from Wi-Fi settings, or the unit can be set up to share an existing internet connection at the same time. Four LED lights atop the case provide visual feedback on battery life, read/write access, Wi-Fi, and WAN connectivity. Mobile devices can connect directly to the P700 over Wi-Fi, or configure wired or wireless networks to share an internet connect at the same time using the Emtec Connect app. I tested the 2TB model on my MacBook Pro using USB 3.0, where it mounts as a read-only Windows volume. You’ll need software like Paragon’s NTFS for Mac OS X to write to the drive as well, but with an average of 134MB per second, transfer speeds were impressive. P700 storage capacity can also be accessed on the desktop using Samba, but connecting to iOS or Android devices requires a free mobile app. Emtec Connect is used to stream videos or music, view photos, or access documents stored on the drive, and up to eight users can connect at once with nary a hiccup. 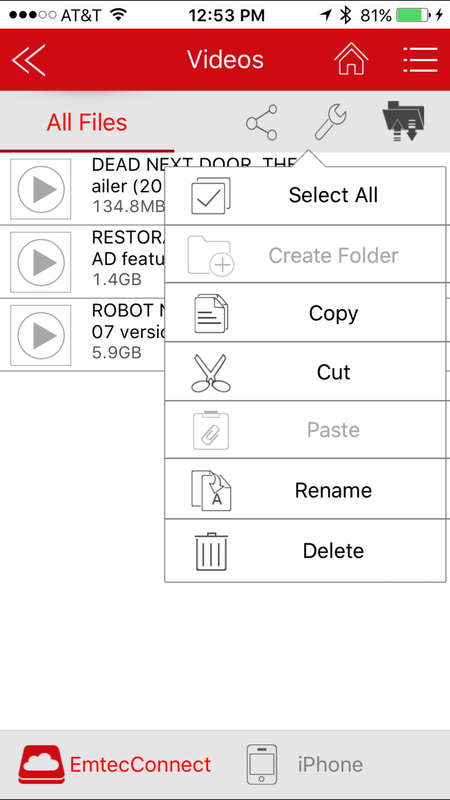 Connect can also be used for copying files to or from a Dropbox account, or backing up device contacts or photo library in a couple of taps. The app isn’t difficult to use, but I didn’t find it quite as intuitive as Emtec’s marketing claims would have you believe; a cumbersome copy-and-paste procedure is required even when moving content stored on the same device. Emtec Connect uses somewhat archaic copy-and-paste commands to organize hard drive content. The app is also fairly restrictive about how it displays content—videos, music, photos, and documents must be stored in their respective Share folders or they won’t show up from the main menu; thankfully, there’s a File/Folder view, which can be used to access anything on the drive. 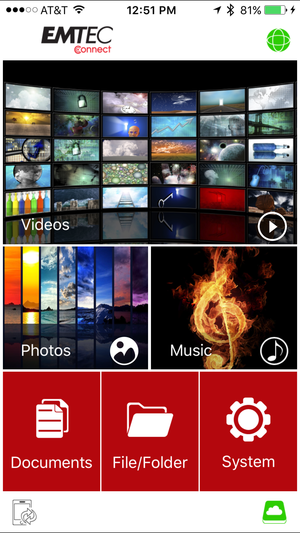 Smaller files like photos and documents can be shared directly via Facebook or email; opening in other iOS apps is also supported with a long press on any file. Emtec has paired well-made hardware with a functional, if unspectacular, companion app, but has yet to update it with native iPhone 6 display support. 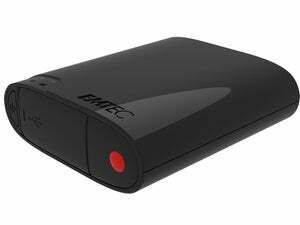 Considering a regular portable hard drive with the same storage capacity can be had for half the price, Emtec’s Wi-Fi HDD P700 is an expensive accessory. But until Apple warms up to native support for external storage, this is as solid external mobile storage device.